DAVID P PERLMUTTER: The Minger's Tale! I'm delighted to feature THE MINGER'S TALE by R.B.N. Bookmark! Ribban Bookmark is one of life`s misfits. Born in Manchester, in the UK during the late 1950`s to Irish immigrants. He realised early on in life that his ladder to success was missing some rungs - in fact most of them. His search for life`s greener pastures hampered by his colour-blindness. After 56 years of circling the literary worlds perimeter fence, like a dog looking for somewhere to urinate. He stopped one night in August 2014. 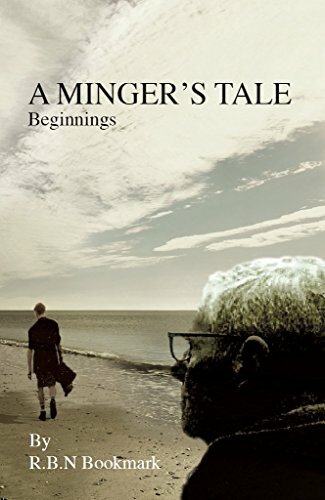 "A Minger`s Tale-Beginnings" was the result of that nights urination. This is his story, part one. If only he knew where God lived, he would urinate in his letterbox! Growing up is a difficult time in the life of Ribban Bookmark, this book traces his journey down a Minger Highway, signposted with humour and littered with roadkill oneliners. "A minger’s tale is an honest account, from an honest gentleman, who has lived. I guarantee this is a star who will shine bright in the near future. Congrats Ribban Bookmark, and thanks!" "From the beginning of A Minger’s Tale, the author paints a very clear picture of life in Manchester as a child. I could totally imagine him leaving his chud (chewing gum) in the girl’s hair who sat before him in the cinema. I can easily see this book appealing to those who have lived or worked in Manchester but it is written in a way that even those not from the area who do not know the slang etc will still enjoy it. From page one it is a witty and entertaining read." "A fantastic book. A great story told by a fabulous author. A story that will test all your emotions from laughter to sympathy. Well worth a go." Ever Had A Gun In Your Back?